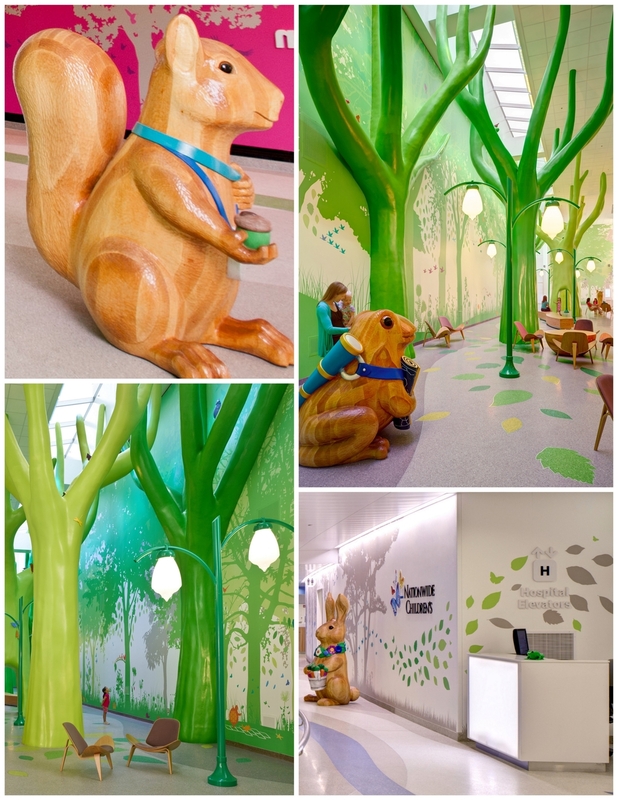 How do you design Donor Wall elegant enough to please a hospital's high-end Donors and delightful enough to distract the children who come through the doors for care? By incorporating 3-D layers of child-pleasing elements into a 26-foot-long museum-like diorama meticulously hand-carved and hand-etched into crystal. 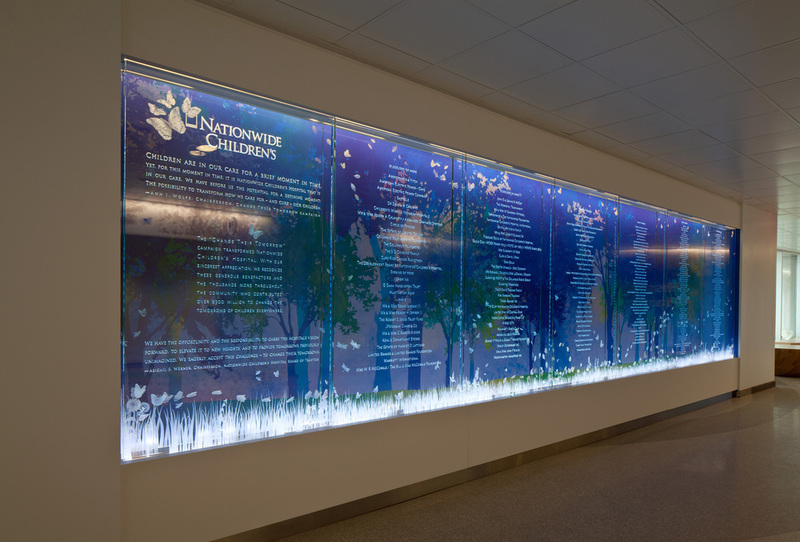 We achieved dimensionality by creating a deep curved architectural surround to hold four layers of dynamic images, including leaves, dewdrops on the grasses, life-sized butterflies (Nationwide's new logo), chrysalises, snails, bees, flowers, and hummingbirds. The images are illuminated with warm LEDs programmed to shift colors and patterns to coordinate with the walking pace of passersby. These shifts make the leaves appear to dance and the butterflies fly across the full length of the crystal wall. On the top layer of the bevel-edged crystal, dedication text and Donor names float in columns on every panel. All texts are carved in deep, V-cut monument-style letterforms.